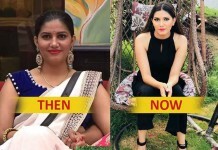 There is a lot of buzz regarding the contestants of BB12 and as per some reports, Scarlett Rose will be one of among them. Scarlett Rose has been a famous MTV host and the winner of Splitsvilla 7. The ravishing beauty is also famous on Instagram for her hot photos and if she appears on Bigg Boss 12 then it’s going to be a really entertaining season for the fans.